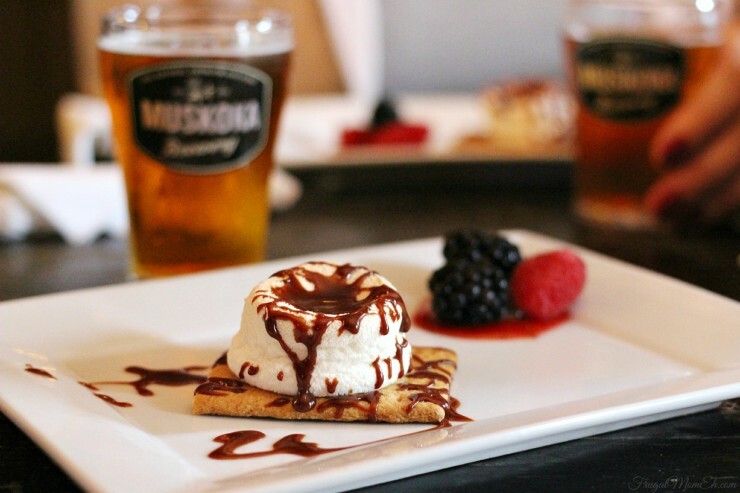 Muskoka Brewery Beer Sessions: Unfiltered A Tap-to-Table Tasting Event - Frugal Mom Eh! 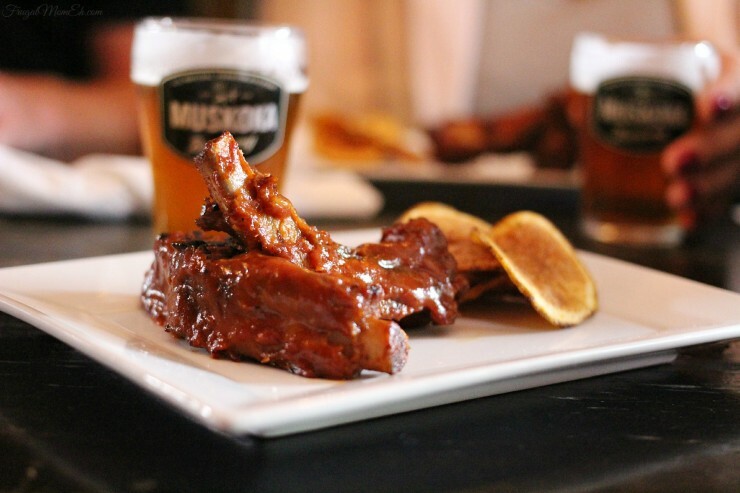 I was invited to an exclusive Muskoka Brewery Beer Session held at The Ship located in Hamilton (Ontario) to sample five craft beers paired with a menu designed to complement the beer. It was also an opportunity to meet Gary McMullan, Co-Founder and Head Brewer of Muskoka Brewery. Muskoka Brewery is one of the pioneers when it comes to the craft beer movement having opened its doors back in mid June 1996. 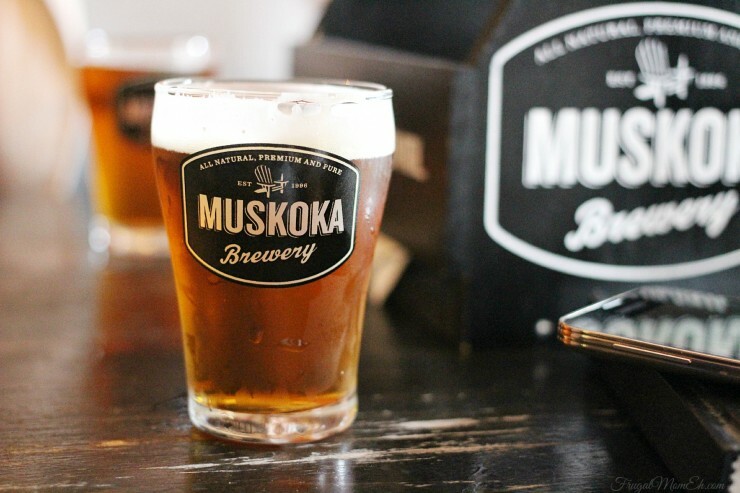 Muskoka Brewery is one of Canada’s most innovative breweries, featuring authentic, all-natural and almost entirely unfiltered craft beers made with natural ingredients with no preservatives and handcrafted by the Muskoka brewing team. Gary and the Muskoka team have a vision of introducing Canadians to beer that is all-natural, premium and pure. I thought it was interesting that rather than using a more traditional filtration method, Muskoka Brewery makes use of a centrifuge for beer clarification. The centrifugal force separates solids from the beer but unlike filtration allows for greater control of the amount of particulate removed. This results in a more flavourful taste experience. The purpose of the event was to help us explore the trend of pairing food with beer. I’ll be the first to admit that I am not a beer aficionado and I do not know much about craft beer so this was also a great introduction for me. I love the concept of pairing food with beer as it tends to be a little bit more accessible across generations than wine typically is, and as I discovered, has a capacity to be enjoyed with all kinds of food. Even dessert! First up on the tasting menu was Muskoka Summer Weiss, which is a refreshing take on traditional wheat beers with a strong banana flavour. I can see this one working well with brunch at the cottage and is recommended to be paired with basic, natural flavours. 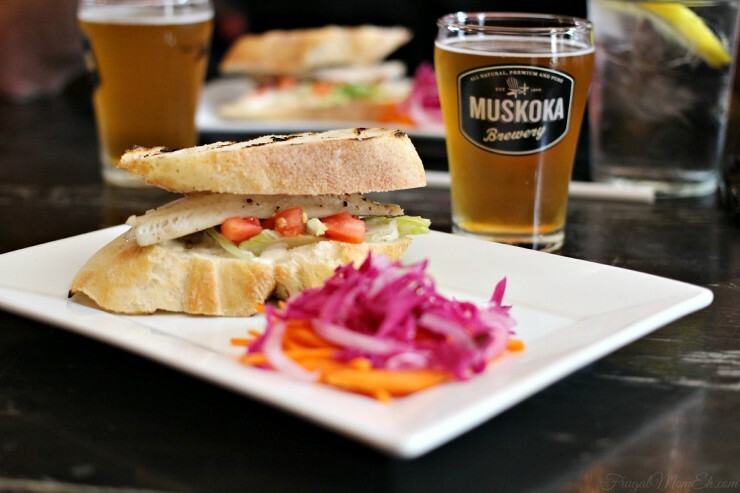 Gary mentioned that when pairing beer with food you want to match strength to strength, so a lighter beer like this works quite well with lighter fare, such as this perch sandwich and simple slaw. Some menu suggestions include Bacon and Eggs, French Toast with berries, or even Lobster! Next up was the newly released Detour, a sessionable IPA. In plain English, its a pale ale with low alcohol content, 4.3% in this case, with well-balanced malt and hop profiles which allows you to drink several in a drinking session without getting smashed. Detour is unique in that it features a crisp tropical flavour profile rather than the more traditional citrus. 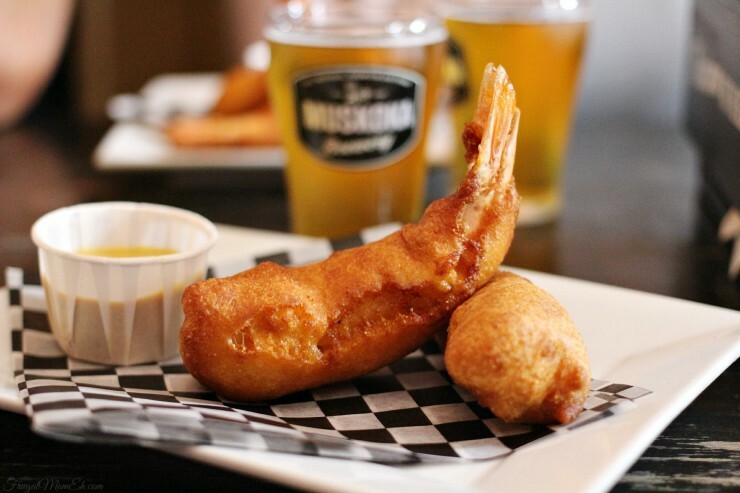 I could immediately taste pineapple and mango on my first sip but after pairing it with delicious cornbreaded pogo shrimp with a honey mustard dipping sauce seemed to give way to a more peachy flavour which was really interesting. It was a clean, light flavour with very little bitterness and pairs well with lighter foods as well such as shrimp cocktail, sesame chicken salad or even Thai Mango chicken. Muskoka Breweries Cream Ale is their flagship beer which launched with the brewery and has remained a staple ever since. It has a very smooth and well-balanced bittersweet toffee flavour which paired well with this Hamburger featuring a spicy mayo and summer salad. It definitely enhanced the spice from the mayo so a better pairing would be barbecued ribs, grilled salmon or a montreal smoked meat sandwich. It works best with sweet, tangy and smoky flavours which work to maintain the balance of the beer. My favourite out the five beers we sampled was the Twice as Mad Tom IPA which has a high alcohol content at 8.4% and strong hops flavour. I’ve always enjoyed stronger beers and tend to avoid lighter beers which I guess is funny for someone who perhaps isn’t a huge beer drinker. I could easily drink this one paired with food or alone but did love it with these Ribs basted in sauce made with Twice as Mad Tom. I actually do not eat pork but wanted to have the full experience and ended up eating both ribs because the sauce was so good and paired so well with the hop flavour of the beer! Honestly, that stuff should be bottled. I’m a fan. When it comes to pairing an Indian Pale Ale, Indian cuisine is an obvious pairing as the hops really complements the spicy flavours. IPA also works well when paired with sweet, sharp or salty flavours such as sharp cheddar cheese, pulled pork or grilled meats with barbecue sauce. Last up was a bit of a surprise for me, dessert! I never thought that beer would work well with a dessert course, but boy was I ever wrong. This S’more featuring a Mad Tom Chocolate Ganache was paired with Muskoka Brewery Mad Tom IPA. Mad Tom IPA has an alcohol content of 6.4% so it doesn’t hit you quite as hard as the Twice as Mad Tom and features just a hint of sweet grapefruit flavour. I was surprised by just how well it paired with the dessert, it reminded me of having coffee with my dessert thanks to the pleasant lingering bitterness. Mad Tom IPA works well paired with spicy flavours or rich or smoked yet delicat flavours and textures like that of smoked salmon or trout. 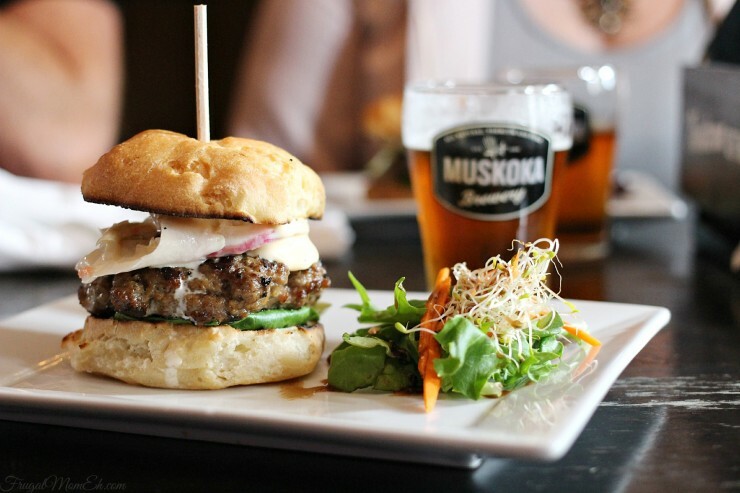 Talk about an ultimate flavour experience, I have definitely had my eyes opened when it comes to not only craft beers and Muskoka brewery but also the concept of pairing food with beer in a way that they complement each other. Nestled in the heart of Muskoka, Muskoka Brewery handcrafts premium beers as unique and refreshing as the region they’re from. Founders Gary McMullen and the late Kirk Evans opened the brewery in Bracebridge, Ontario in 1996 with its flagship Muskoka Cream Ale. Today. the brewery employs a passionate band of craft beer lovers more than 70 strong, and is one of the fastest-growing craft breweries in Canada with an award-winning beer portfolio. Find out more at MuskokaBrewery,com. Have you tried pairing Craft Beer with Food? All this food and beer looks so good,thank goodness tomorrow is Friday ! I’m not a big fan of beer but that sounds like a really great experience! I would love to learn more about how to pair specific kinds of beer with food. I’m here in Hamilton. That’s an awesome experience!